New weaver and amateur loom mechanic. 50-year career in information technology, now self-employed and semi-retired: specialize in Unix systems administration, web site development, and bioinformatics applications programming. Other interests include bicycle touring, aircraft construction, and quilting. Married to weaver/spinner/quilter/cyclist Judy. 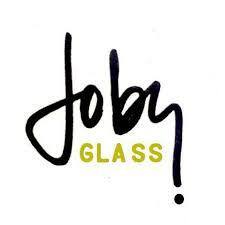 Joby Glass StudioJoby Glass is celebrating Third Thursday in Downtown Olympia with an Open House! Come for Art + Food + Wine! 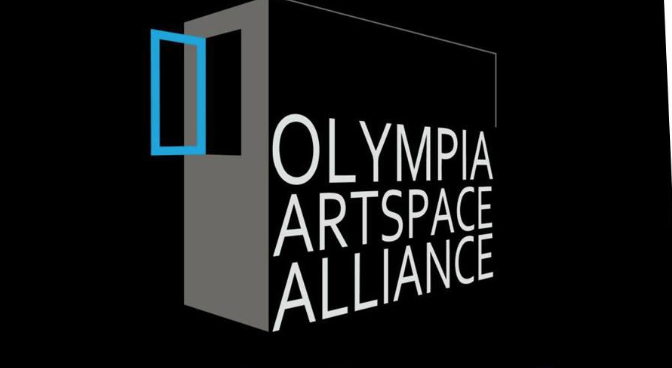 Copyright © 2018 Olympia Artspace Alliance, All rights reserved. Guild member in the news — Lurie H.
It’s been 20 years since the first Madrona. What a journey it has been, and many of you have been along for the wild ride. From the Inn at Gig Harbor and the first registrations by mail, the spirit of Madrona grew as we moved to the Hotel Murano. We’ve never lost the intimacy of Madrona, and we’ve loved nurturing the community. In that time, Cornie’s daughter Erin was in a stroller at Madrona, now she is beginning her sophomore year in college. Suzanne’s daughter Jennifer was not yet a mother, now her daughter attends classes at Madrona. You have given generously to our Madrona Charity Partners, and we’re proud of that legacy. We are grateful that you have let us into your hearts and allowed us to share Madrona with you. Truly, we have just set the stage for what happens at Madrona. Each of you contributes your joy and eagerness to learn and share. Combine that with our incredible teachers over 20 years who feed all that eagerness, and the amazing market of vendors and the lovely Hotel Murano that treats us as family — Magic Happens! You have all helped nurture this community. You brought your families, college roommates, and friends. There are those of you who have made lasting friendships as roommates and now return year after year. Teachers and vendors have become our dear friends. In this spirit of celebration for what this has meant to each of you, we are announcing that this coming February, 2019 will be the last Madrona. We are both in our 70’s and ready to retire. We know you will miss this gathering and this has been an emotional decision for both of us. What a privilege it has been to be with each and every one of you over these 20 years. We will miss you as February rolls around each year. Our last Madrona will be very special. Sally Melville, who was at the very first Madrona will give the talk at the banquet, and we are very pleased to announce that Vivian Hoxbro will return to teach and give the talk at the Teacher’s Gallery. All your favorite teachers through the years will join us, and you can watch for previews of spectacular classes. Come join the fun in February, even if you are not registered for a class — the market, demonstrations, clinics and evening events are free. Come hang out for one last time in the Rotunda to knit, and spin, and share with friends in the spirit of Madrona. On this, our 20th anniversary, we celebrate all of you as our family, and we are grateful for your loyalty and support. We want you to know that you all have made Madrona your own creation, and your joy in being at Madrona will be held in our hearts. Stay well, and keep on being who you are — we will see you at Madrona. Or, visit their website: http://www.marshfieldschoolofweaving.com/ (the link in the PDF is broken). 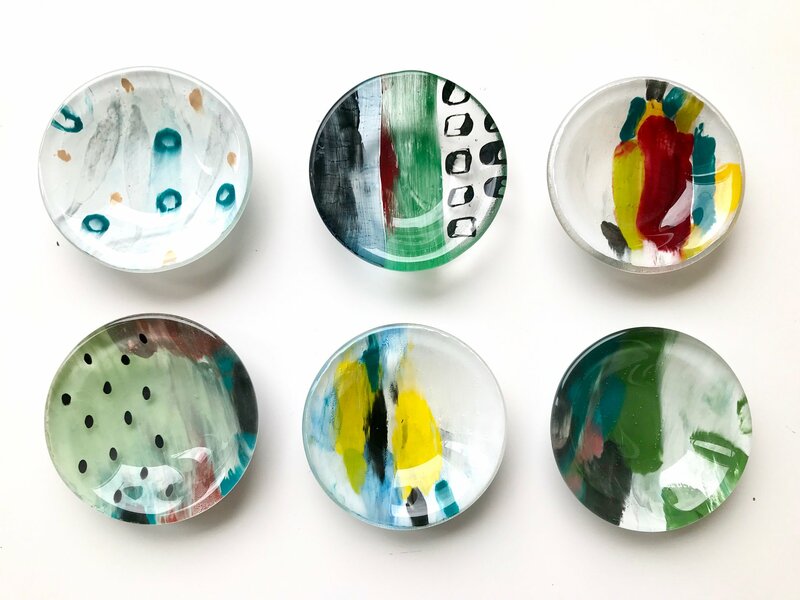 The Handweavers Guild of America, Inc. (HGA) announces its 2018 annual juried exhibit of small works:Small Expressions. Featuring 34 contemporary small-scale art works by 27 artists from 14 states and 3 countries, Small Expressions will be on display July 1–15, 2018 at the Wilbur D. May Museum in Reno, Nevada. The show’s juror was Virginia Vogle, a professor of Art at the University of Nevada, Reno. She specializes in fiber, visual foundations and fashion history and style. Sally Anaya, Lopez Island, Washington • Linda Barlow, Santa Fe, New Mexico • Susan Basch, Kingston, New York • Meredith Bennett, Free Union, Virginia • Nancy Briemle, Pleasanton, California • Abraham Buddish, Allen Park, Michigan • Penny Collins, West Hollywood, California • Andrea Cook, Anthem Arizona • Deanna Deeds, Long Beach, California • Jayne Gaskins, Reston, Virginia, • Laura Hacker, Sudbury, Massachusetts • Julie Lambert, Montreal, Quebec, Canada • Pamela MacGregor, McClure, Ohio • Rachael Mayer, Pocatello, Idaho • Joan Pao, New York, New York • Aviva Peres, Haifa, Israel • Penny Peters, Berkley, California • Jessica Pinsky, Cleveland, Ohio • Joh Ricci, Gettysburg, Pennsylvania • Michael Rohde, Westlake Village, California • Jenny Schu, Lansing, Michigan • Melanie Siegel, Richmond Hill, Ontario, Canada • Mary Ruth Smith, Waco, Texas • Rebecca Smith, San Diego, California • Rebecca Stevens, Upper Black Eddy, Pennsylvania • Marjorie Tomchuk, New Canaan, Connecticut • Peggy Wiedemann, Huntington Beach, California • Deborah Zeitler, Iowa City, Iowa. Small Expressions 2018 opens July 1 at the Wilbur D. May Museum in Reno, Nevadaas part of the Handweavers Guild of America’s biennial conference, Convergence®taking place July 6-12, 2018 at the Peppermill Resort. Exhibition hours: Wednesday – Saturday 10 a.m. to 4 p.m., Sunday Noon to 4:00 p.m., Closed Monday and Tuesday. Admission to Small Expressions is free. The Wilbur D. May Museum houses the personal and private collection of Wilbur D. May that he had collected through a lifetime of travel and adventure. Since his death in 1982, this unique ethnographic collection has been on display for the public to enjoy. The Wilbur D. May Museum is located at 1595 N. Sierra Street in Reno, Nevada. For parking and directions visit their website, https://www.washoecounty.us/parks/maycenterhome/museum/index.php, or call (775) 785-5961. 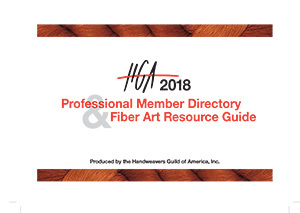 The inaugural Professional Member Directory and Fiber Resource Guide features the profiles of 138 Professional HGA members who specialize in the fiber arts. A valuable resource for all fiber artists and guilds. Spring is coming and Summer is not far behind. Now is the time to plan your upcoming fiber activities. This section contains valuable information on workshops, tours, classes and more. After Karen Burns performed in the extravagant stage production of MGM Hello Hollywood Hello, she obtained a majority of the fabulous costumes. These extraordinary costume will be part of Convergence® Reno 2018. Learn more about this incredible collection and their history. One of the biggest challenges in designing handwoven cloth is choosing the colors and weave structures that will produce an attractive fabric. Tien walks us through the process to better understand how to make color choices to get excellent results. Shuttle Spindle & Dyepot magazine is published and delivered to HGA members four times a year. Not a member? Become a member today and receive your first issue. Join now. A tour through the display at the setup of the 34th Annual Show and Sale held on 10-12 November, 2017. All items in our annual show and sale are handmade by guild members. A big thanks to the Show and Sale committee members for staging and managing the sale, all members who contributed their handiwork, and to the many patrons who made this years show a big success. Photos by Erica Plotkin, video editing by Larye. Viewable in full-screen High Definition. Priority Registration Opens as 12 PM EST for Sessions, Special Events, Tours, etc. General Registration Opens at 12 PM EST for Sessions, Special Events, Tours, etc. and Save 25% when you Register for Sessions! 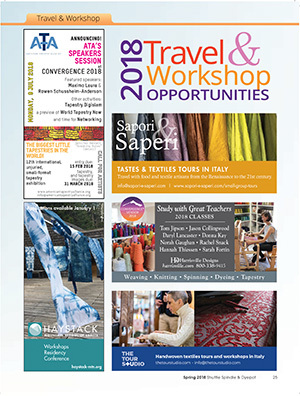 In addition to the savings on Session registration, the CVP includes daily admission to theMarketplace and the Art Exhibits ($70 value), 1 ticket to the Fashion Show ($75 value), 1 ticket to the Keynote Presentation ($35 value), and an HGA Tote Bag sponsored by Heddlecraft magazine ($15 value). Convergence® events and activities are open to the general public, however an HGAMembership is required to register for Sessions. To review your membership, login to yourOnline Account. Members must login to receive the member price on the Convergence® Value Package (CVP). Registration is taken on a first-come, first served basis, and Fiber Trust members who have given a financial gift of $100 or more in 2017 qualify for Priority Registration. Join the Fiber Trust online or call (678) 730-0010. Thank you for supporting HGA. We look forward to seeing you in Reno! The Handweavers Guild of America’s mission is to educate, support and inspire the fiber art community..